Happy Saturday Post! Hope you are all enjoying your weekend. Thank God I woke up feeling way better today, I'm hoping the cold is on it's way out of my body! This morning, I got to meet up with my girlfriends for breakfast, it was so nice to catch up with them. We all have so much going on it's nice to touch base and reinforce our support for each other :) In other news, it's getting cold in San Diego!! 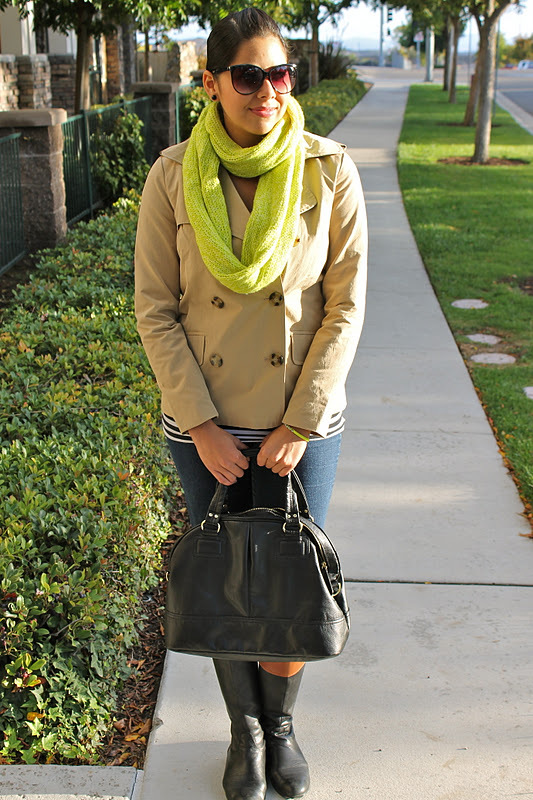 The trench coat and this cute neon scarf got to come out and play!! Feliz sábado! Espero que estén disfrutando su fin de semana. Gracias a Dios me desperté sintiendo mejor, ojala que esta gripe este en camino fuera de mi cuerpo! Esta mañana, desayune con unas amigas que no habia visto en mucho tiempo. Todas estamos tan ocupadas que fue agradable poder platicar y recordar que nos apoyamos:) En otras noticias, ya está haciendo frío en San Diego! Finalmente me pude poner este abrigo y esta bufanda de neón! OWWW I love the neon scarf and your nails! very nice and comfy look!I like your scarf! Wow Pau, estás guapísima!!! me encantan tus botas! and have a nice Sunday! Me encanta tu outfit .... las botas estan divinas. Love the classy look, the boots and the color of your coat <3. I hope you are having an amazing weekend. I absolutely love your look. I am still very jealous over those boots. Your scarf and jacket are so pretty. i love this look and the scarf is really pretty i love the color ! 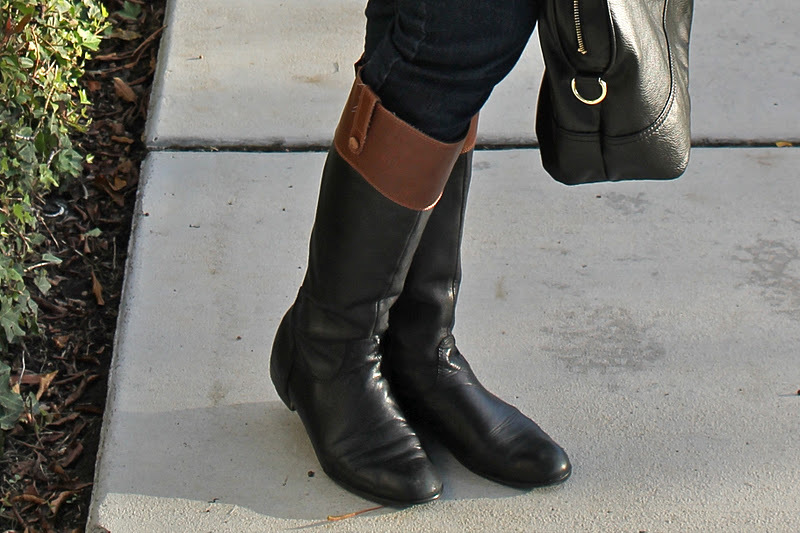 Aqí estoy... Me encantan tus botas y queda genial con la trench y la camiseta navy. me encanta como vas!sobre todo las botas!! Genial combinación! te sigo guapa. me encantan tus botas!!! estas divina por supuesto!!! Ohh, your boots! I'm lusting after them! I also looove your boots! it's love at first sight actually :P and the bright scarf looks lovely too! love the trench coat, all time classic, and that dash of neon, cute!! Love the scarf! It adds the perfect pop of color! you are such a fun, gorgeous girl. 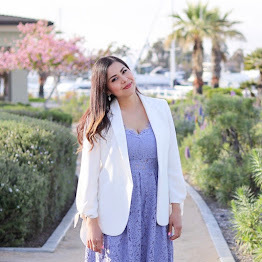 :) great style.. and i enjoyed your blog.